Poetry – This, That & Anything Else! Soooooo Noah’s Ark Veterinary Centre was having a V-Day competition where we should write a poem about our dog and post a photo too. Our Chipster, our fluffster, our floofster, our poopster! I wanted no other dog, only you. Cuz you were born just for me & D! Took one look and we knew for sure! So we took you home and became a family! And from the very 1st day we knew we were hooked! You woke us up cuz of the cat in the park! Medicine TIME, Food TIME, Outside TIME… TIME! Doing spins & turns that make me WOOZAY! Cuz no matter what, we’ll always be together! Here is another poem for you. This is a motivational one. Don’t give up on anything! Remember, even though sometimes it may be hard, that everything comes in time. You are strong my followers… Your are strong! Day after day, watching the clouds go by bringing no rain. Its leaves begin to curl each day, more and more until they can hold on no longer. They fall gently to the ground, swaying back and forth. It has used up all its earthly resources, but now the earth below is dry and cracked. 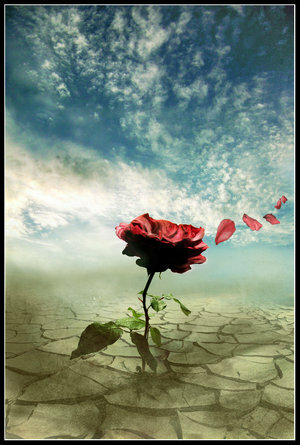 Still, that little rose continues to hold out its beautiful bloom. I just wanted to share with you all a poem I had found recently that I wrote a LONG time ago! I had completely forgotten about it and when I found it I was excited to share it! 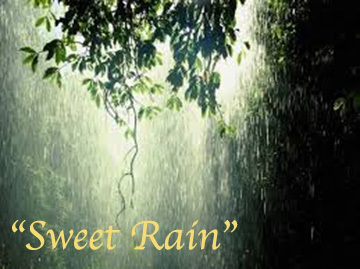 Awoken by the gentle sounds of rain drops outside my window, I turn over in bed and my thoughts fall on you. I picture you snuggled up to me – spooning as you nuzzle the crease of my neck. “G’morning” the deep warmth of your voice vibrates through my ear.